Prepare the crab cakes: Tear 3 buns into small pieces to make about 3/4 cup; put in a medium bowl. Whisk 2 tablespoons mayonnaise, the melted butter, egg, Old Bay, Worcestershire sauce, mustard and 1/4 teaspoon salt in another bowl. Add the mayonnaise mixture to the bun pieces and stir to combine; let sit 10 minutes, then gently fold in the crabmeat. Brush a baking sheet with butter. Tightly pack the crab mixture into 15 small patties and arrange on the prepared baking sheet; refrigerate at least 1 hour or overnight. Meanwhile, preheat the oven to 350 degrees F. Arrange the bacon on a rimmed baking sheet in a single layer and bake until golden and slightly crisp, about 20 minutes. 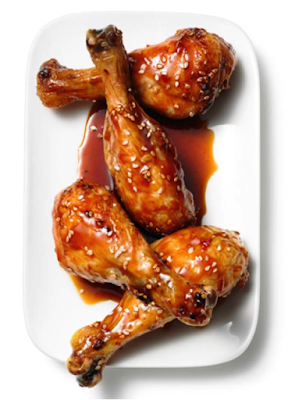 Transfer to a paper towel-lined plate, reserving 1 tablespoon of the drippings. Break each piece of bacon into thirds; set aside. Combine the remaining 1/2 cup mayonnaise, the lemon zest and the reserved bacon drippings in a bowl; season with salt and pepper. Preheat the broiler. Arrange the remaining 15 buns cut-side up on a baking sheet; brush with butter and broil until golden. Transfer the crab cakes to the broiler and cook, rotating the pan as needed, until golden and warmed through, about 6 minutes. Spread the cut sides of the buns with some of the lemon mayonnaise. Sprinkle with diced red onion. 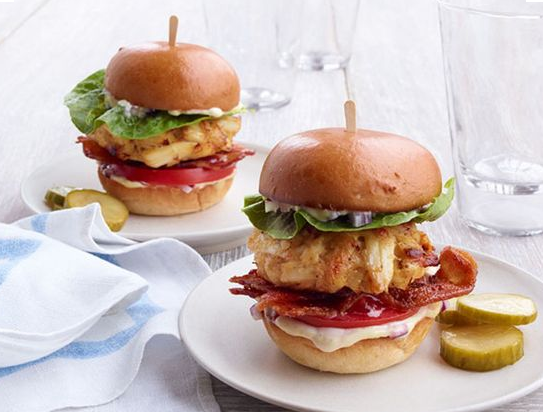 Serve the crab cakes on the buns with tomatoes, lettuce and the bacon. Serve with pickles.